Have your name amongst the stars at The Fraser Centre and help our fundraising campaign take off. 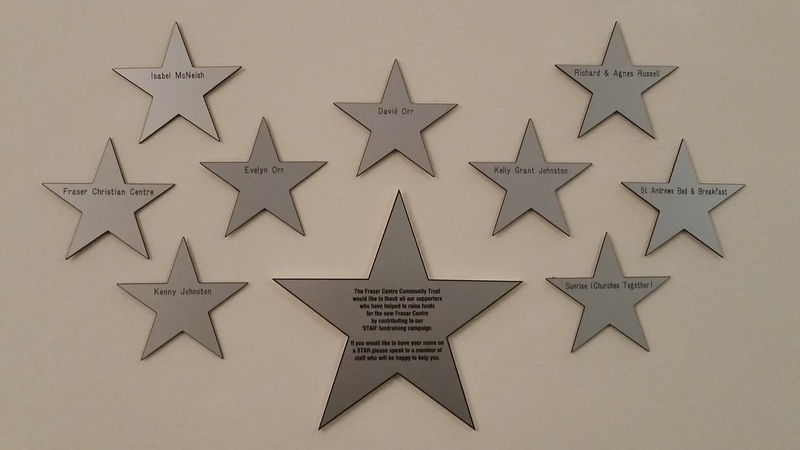 The star shaped plaques will have your name engraved in them and are an ideal way for you to help our fundraising campaign whilst having your support recognised on our walls. Stars will be shown on our walls in the current Fraser Centre and be moved to the new Fraser Centre when we reach our fundraising target. These items also make a superb gift for someone you know who has an affection for The Fraser Centre or the old Winton Cinema. The stars cost £50 and will be on display in the current and new facility. Contact David Orr Development Manager on david@thefrasercentre.com or call 01875 617444 for more details.